Energy Environmental Corporation is a company specializing in worldwide design, installation, and consulting of integrated renewable energy systems. We are located near Denver, Colorado, at the base of the beautiful Rocky Mountains. Our goal is 100% account references. As such, we have teamed with some of the leading experts in the country to provide total solutions to meet our clients' needs. We provide a single point of responsibility for design and installation of integrated building envelopes and heating/cooling/energy systems. We believe "green" education and training is paramount to solving the challenges created by the world economic crisis, green house gas emissions, and our dependence on fossil fuels. Wiith 40% of energy consumption related to building construction and use, adopting renewable residential systems within the framework of an integrated architecture is the answer. Training existing contractors on renewable energy creates "shovel ready" jobs while reducing the dependence on foreign oil and greenhouse gases immediately upon implementation. EEC is working with Goodwill Industries in Colorado to train high school students in order to create jobs in renewable technology. These services are provided at no cost to the beneficiaries. 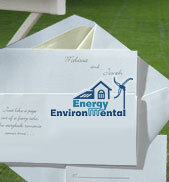 EEC provides green technology educational seminars at minimal cost to consumers and home owners. By working with manufacturers for the widespread adoption of green products and by offering training to construction professionals, we are making inroads to overcoming consumer and building trades´ misperceptions about alternative HVAC and power systems and green building methods and materials. We work with distributors to preserve jobs for traditional building trades (plumbing, electrical, and HVAC) by training these contractors in alternative energy systems (solar thermal, solar PV, and geothermal). A recent initiative is focused on educating design professionals (architects, engineers and LEED professionals) on the benefits of adopting an integrated systems architecture approach in residential and commercial buildings versus relying on traditional trades to implement disparate components. We are dedicated to sharing our success with those less fortunate. In 2009, Energy Environmental Corporation allocated over 10% of gross profits to infrastructure projects in Peru which improve people's quality of life within communities lacking clean water, reliable power, adequate communications, or medical facilities. Albert Wallace is the principal of Energy Environmental Corporation (EEC), a service-disabled veteran-owned small business. 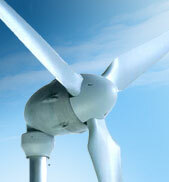 Al’s expertise lies in the integration of high performance systems for low energy buildings. These patented solutions integrate geothermal, solar, and radiant in-floor heating and cooling with reliable simple-to-operate controls for superior comfort, indoor air quality, and energy efficiency. EEC has developed off-site manufacturing methods for integrated systems which provide showcase quality installations with the highest reliability and lowest first cost. EEC’s design/build projects have won numerous regional and national awards and have been featured in national publications. EEC is the largest GeoPro Master Dealer in Colorado with WaterFurnace, the technology market leader for residential geothermal heat pumps and controls in the U.S.
Al is a member of the American Society of Heating and Refrigeration and Air Conditioning Engineers (ASHRAE); an Associate Member of the American Institute of Architects; a Certified GeoExchange Designer (CGD) and Certified Energy Manager (CEM) by the Association of Energy Engineers; a Certified Trainer and Installer by the International Ground Source Heat Pump Association (IGSHPA); and certified and permitted by the Colorado Division of Water Resources for geoexchange systems. Mr. Wallace has earned the LEED for Homes Accredited Professional designation from the U.S. Green Building Council. He served as past President of the Colorado Heat Pump Association, and as a HERS rater and Director of E*Star Colorado. Mr. Wallace holds Advanced Building Science Master's Certification, and is a certified contractor for Tridium's NiagaraAX enterprise control software. He is on the City of Centennial’s Building Code Board of Review. Al served on the technical committee which created the 2015 Uniform Solar Energy & Hydronics Code through the International Association of Plumbing and Mechanical Officials (IAPMO). 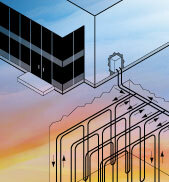 He is qualified as an expert witness for cases involving complex geothermal and radiant systems. Mr. Wallace worked as an expert reviewer for the Department of Energy Geothermal Technologies Program on deep direct use of geothermal fluids proposals. He served as the radiant floor cooling consultant for engineering the 440,000 square feet U.S. Army’s Special Operations Forces Net Zero Energy Barracks at Fort Carson, Colorado in 2015. Al Wallace consults worldwide and provides training seminars throughout the U.S. He trained at the Master Builder Gewerbe Akademie, Rottweil, Germany, and completed software modeling training with Vela Solaris in Winthur Switzerland, based on integrated systems developed by the University of Applied Sciences Rapperswil (HSR), Switzerland. EEC’s patented radiant floor designs and cooling controls are currently hosted on hardware manufactured by Beckhoff Automation in Germany. Mr. Wallace holds a Bachelor of Science degree in Aeronautical Engineering from the U.S. Air Force Academy in Colorado Springs, a Master’s degree in Business Administration from Golden Gate University in California, and dual Master’s degrees in Architecture and Landscape Architecture with Certificates in Design/Build and Historic Preservation from the University of Colorado at Denver. Dennis Brachfeld is a Class A Licensed General Contractor and principal of About Saving Heat LLC, a company which has retrofitted over 25,000 homes since 1976. Prior to EEC implementing high performance systems in homes, Dennis evaluates the building envelope for appropriate air sealing and insulation. With the highest payback for the lowest investment, improving the building envelope insures the indoor environment is comfortable, safe and energy efficient. Dennis was the first certified rater by E-Star in Colorado in 1995, is currently certified as a Home Performance with Energy Star professional, and was named Engineer of the Year by the Rocky Mountain Chapter of the Association of Energy Engineers. 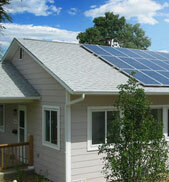 He has served as a consultant to Xcel Energy for their Energy Makeover House competition. Dennis earned his Graduate degree in Real Estate Finance and Construction Management from Denver University. Paul Kriescher is a Principal of Lightly Treading Incorporated Energy & Design, a Colorado based company formed in 1997 that works to better the energy efficiency, safety, environmental impact and comfort of homes and small commercial buildings. As a part of his work, Kriescher and his staff perform energy audits, ratings and design consulting and engineering to identify energy-saving measures in new and existing buildings. He has served on the board of the Colorado Renewable Energy Society and is currently on the Habitat for Humanity for Metro Denver's Plan Review committee, the Advisory Board of the Colorado Earth Expo and the Denver Home Builders Association's Energy and Environmental Affairs committee, and is the current chairman of the Energy Efficiency Business Coalition. In addition, Mr. Kriescher is also and Adjunct Professor for Colorado State University's Institute for the Built Environment Program. Paul Kriescher has a Masters of Science in Energy Analysis and Policy from the University of Wisconsin. Dan Rau is a mechanical engineer with professional licensure. He is LEED accredited and has designed and installed a range of geothermal projects throughout Colorado, Utah, and Iowa, both residential and commercial, new construction and retrofits of existing homes. Colorado Geothermal Drilling is a family owned IGSPHA accredited business with over 9 years experience in the HVAC industry, encompassing conventional and geothermal heating and cooling systems. Because of their unique drilling setup, they are able to access and drill small and hard to reach areas with their equipment. This ability to drill and install geothermal ground loops in an extended range of landscapes enables them to stand out from larger drilling companies. Namaste Solar of Boulder is a leading solar photovoltaics contractor, providing high quality design and installation of residential solar energy systems. 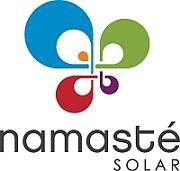 Namaste solar believes in giving back to the community by providing education and donations. Their mission is to propagate the responsible use of solar energy, pioneer conscientious business practices, and create holistic wealth for the community. construction completion. They primarily build in South Metro Denver, Douglas County, Castle Rock, Parker, Sedalia, Elizabeth, Franktown and Monument Colorado. Keith has a M. S. in Structural Engineering from the University of Colorado at Boulder and over 16 years of experience that includes residential design, commercial design and forensic engineering. 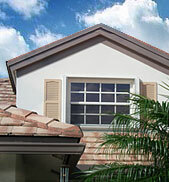 His residential work includes structural designs for production home builders, custom homes, remodels, and additions. His commercial work includes specialty, a public works complex, retail and restaurants. Keith's forensic engineering has included the investigation and repair of foundations and framing due to heaving soils and blizzard overloading. Peter has been a builder and woodworker for over twenty five years. The founder and workshop organizer of Rocky Mountain Workshops, he has traveled the world organizing building workshops and bicycle tours. Peter heads up EEC educational seminar programs in Colorado for homeowners and contractors in order to expand the expertise and quality of delivery of sustainable technology. Peter is passionate about reducing our footprint on the planet, is experienced in both timber framing and log building, and has dedicated his efforts to providing leading edge instruction on natural building and sustainable technologies. Peter lives and works in Fort Collins, Colorado.